With computerized steel design, use of sandwich panels (mineral wool and/or PIR) in wall and roof construction the standard for structural strength, hygiene and highest insulation value in Food industry buildings and Industrial buildings. 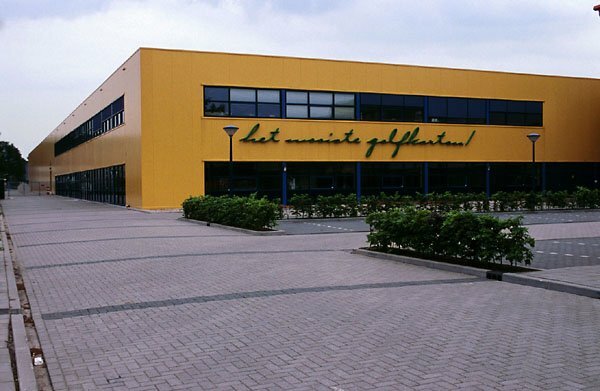 For over 40 years Schardam Isolatietechniek has been active in the field of design and construct of food production facilities, warehouses, distribution centres and other construction projects. In a large number of countries succesfull projects have been realized often thanks to good co-operation with local partners and/or contractors. The latest in West-European engineering and construction techniques, most suitable for food production buildings and HAACP-standards are incorporated. Wherever possible a mix of local and European construction materials are used in order to minimise transport costs and import duties. The client's original, or the equipment supplier's design is used as the basis for the final lay-out, this will then include facilities for canteen, changing rooms etc. The most efficient steel-construction design is planned and produced with the specified coating, epoxy-coated or hot-dipped galvanised. After specification and production the materials are transported by trailer or stowed in Standard or High Cube 20' or 40' containers for sea-transport. Part of our service is FCA sea-transport to the client's port of preference, other clients make use of their own shipping arrangements.